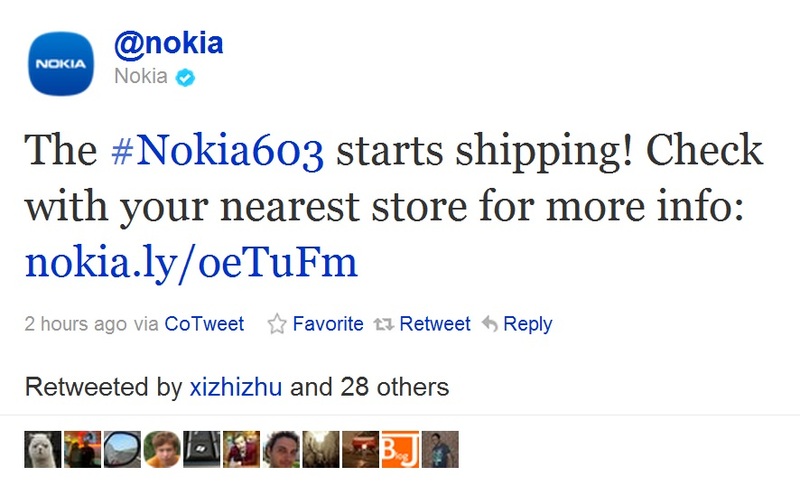 Nokia tweeted that the Nokia 603 now starts shipping. Launched October 13th, now October 21, that’s in the same month, just over a week. The 603 is my favourite of all the Belle devices. I’m really digging the design, and it should pack the same power under the hood as the 701. Cheers Mark for the tip!